My name is Ameenah Sawwan, I was born and raised in Syria but am now based in Berlin, Germany. On August 29th, 2013, my family was forced to face the tragic loss of my brother Obaida, his wife, Mariam and their six-year-old son, Ahmad. I lost Ahmad during the worst days of the siege in my hometown of Moadamiyeh. It was an ordinary family scene; the father was watering the vegetables he was hoping would soon grow, the three siblings were playing together, and the mother was talking on the phone to her sister. But in that ordinary scene, in that ordinary moment, our lives would change forever. Ahmad used to tell us how much he had grown up and that he would be a first grader soon. He was obsessed with finally being old enough to go to school. It’s been a difficult five years since I lost my brother, my sister-in-law and my nephew. This year I decided I want to be stronger; I want to deal with my pain and grief in a different way. On this painful and difficult day, I’m launching the Ahmad Memorial Fund to support the education of Syrian children. I am teaming up with Hurras, a wonderful organisation educating children in the province of Idlib. Every dollar raised will be used to fund self-learning kits and mobile learning centres for the children who need them. Many young children have been displaced to Idlib following sieges and bombing campaigns. There are no schools in the camps or neighbourhoods where they’ve fled to but with self-study materials they will have a chance at education this school year. But Idlib isn’t safe either and families might have to flee again as the bombing of the area intensifies. Hurras’s mobile learning centres will go with them to continue their learning. It is too late for us to change anything in Ahmad’s story, but for children who are living through danger, trauma, and displacement, there is still a lot that can be done. In every Syrian child, I see Ahmad; Ahmad’s smile and his hopeful face. I see his curious yearning for education and his lust for life. I want Ahmad to be remembered for his happy times, happy face and his crayons not for those last bloody moments when I had to see him lying dead in the field hospital for the very last time. I want Ahmad to be remembered for all the happiness and joy he brought to our lives during his own tragically short life. I want him to be remembered for his bright dreams of a proper education; the dreams which were supposed to be his right. 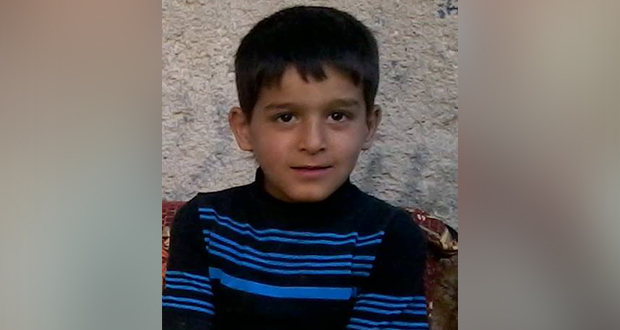 For the children in Idlib, donate now to the Ahmad Memorial Fund. In memory of my nephew, I've launched this fund to support the education of displaced Syrian children. Every dollar raised will go to an incredible organisation called Hurras to provide self-learning kits and mobile learning centres for children in Idlib. Please donate what you can. 100% of the money raised will go directly to Hurras to support education programmes for children in northern Syria. Your contribution will change the lives of Syrian children dreaming of going back to school - please give generously. Hurras is an organisation dedicated to providing educational and psychosocial support to Syrian children. It was founded in December 2012 in the town of Daraya in the countryside of Damascus. This campaign is organised by The Syria Campaign. We are registered as a non-profit in the United States as Voices Project USA. The Syria Campaign/Voices Project USA receives no money from this fundraising campaign and all money raised will go directly to supporting educational programmes in northern Syria.